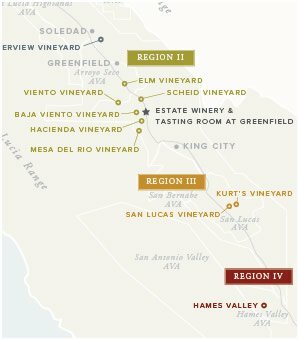 The sub-appellation of Hames Valley is located in the southernmost tip of Monterey County, just north of the San Luis Obispo county line, and sits at the foot of the Santa Lucia Range. 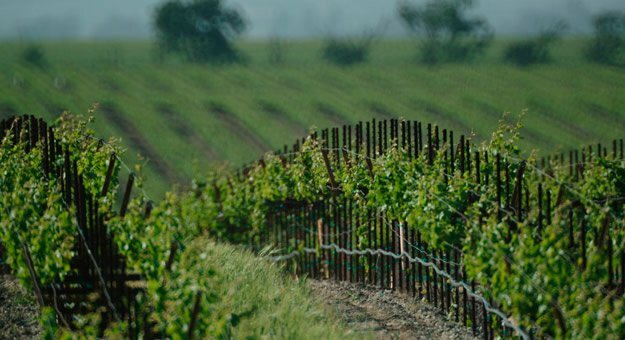 Although the Hames Valley AVA does experience a cooling effect from the Pacific Ocean, its geographic location shelters the vines from the afternoon winds coming down the Salinas Valley corridor. This gives Hames Valley a warmer climate compared to our vineyards in other regions to the north. Daytime highs are similar to the Paso Robles growing region but, as the sun goes down, temperatures drop dramatically. In fact, the Hames Valley AVA enjoys the largest diurnal temperature change of all of the Monterey County AVAs, with a variation of up to 50° quite common. 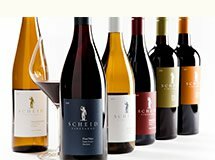 The long, warm days make this an ideal area for tannic-rich reds, while the temperature differential helps to preserve the balance of the fruit and maintain the acidity desired by winemakers. The soils of our Hames Valley Vineyard are Lockwood shaly loam. The shale was formed underneath the ocean millions of years ago and now consists of millions of fragments of broken rock that create fracture lines for the vine roots to penetrate deeply. Grape vines like a little bit of stress – it is often said “struggling vines produce better wines” – and well-drained soils allow us to starve the vines for water at the appropriate times. This results in smaller berries, a higher skin-to-juice ratio and, ultimately, more intense, bold and complex wines. Our primary varietals at Hames Valley are Cabernet Sauvignon, Petite Sirah and Petit Verdot. Each vintage, we are always eager to compare and contrast the Cabernet Sauvignon from our San Lucas and Hames Valley vineyards. We have found that grape-for-grape, in the slightly cooler years, the Hames fruit has the edge on power, while in warmer years, San Lucas gets the nod. As it turns out, blending the two vineyards together gives us the best of both worlds, with intense black fruit, good structure, layers of complexity, and richness. Hames Valley presents ideal conditions for growing intense, jammy Petite Sirah. The long, warm days are a must for top-notch Petite, while the dramatic nighttime cooling helps to preserve the balance of the fruit and maintain acidity. The result is an inky, full-bodied, supple, teeth-staining Petite Sirah. Petit Verdot presents a similar story. It is a grape of dark color, stout tannins and concentrated flavors, and is an essential component of our Reserve Claret. Our Hames Valley Vineyard delivers the goods year in and year out.